At Randwick Girls' High School, we understand that using technology is crucial in educating today’s students. Technology not only serves as a tool to help students become more knowledgeable and efficient in an increasingly digital world, but technology can also serve to make instruction more efficient and allow differentiation in how students are taught. Randwick Girls' High School is committed to employing technology to truly improve a student’s educational experience. 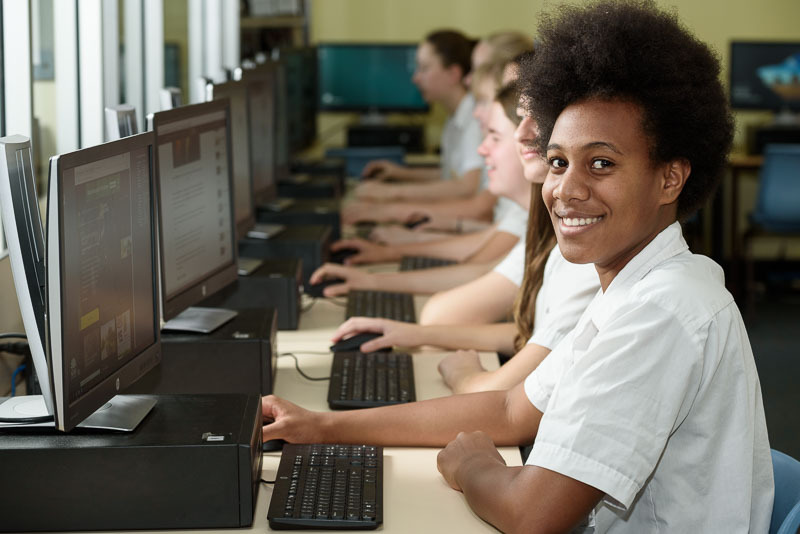 Randwick Girls' High School's wifi enabled campus and multiple dedicated computer labs allow for enhanced educational opportunities outside of the classroom. Our entire network has effective filtering and security technology in place to ensure that content not appropriate for students are blocked. "Bring Your Own Device" (BYOD) refers to students bringing a personally-owned device to school for the purpose of learning. A personally owned device is any technology device brought into the school and is owned by a student or the student's family. There are different models of BYOD. Randwick Girls' High School has chosen a BYOD model that will meet the needs of most families according to data from student surveys and parent surveys. Randwick Girls' High School students will be asked to bring their own laptop or tablet to school. Purchase discounts available for BYOD Apple Products for RGHS students. When purchasing, let the Specialist know our schools' name. All NSW DEC students are eligible to download and license Adobe and Microsoft software onto personally owned devices. Students will need to use their @education.nsw.gov.au student email address to register. One download per application only. Google Apps for Education (GAFE) can be accessed simply by expanding the Learning Box on home page.